Last weekend I was away at a weekend long training. I run a day camp for cub scouts in the summer and I had to be re-certified this year. We spent 14 hours on Friday doing some learnin', and 14 hours on Saturday. And I had to sleep in dorm bunks (we had the training at a campground facility) with women I didn't know. AND we lost an hour to daylight saving time. Bah-larg. While I was gone, the boys had a great Saturday! The scouts held their pinewood derby. Both of the boys did really well and they MADE THEIR OWN CARS. Bailey's is the one that says "Need for Speed." He came in 3rd!! This is a big accomplishment for him because in prior years, his cars didn't do so well. Not only was his car 3rd, but between the 1st, 2nd and 3rd place cars, there was only a .10 of a second difference!!! Braeden had just as much fun making his car and was really looking forward to this race. His first race was last year, and the pack had decided that they would have a trophy for every boy that participated. Since they couldn't have more than a 1st, 2nd and 3rd, they had a lot of trophies with cute little phrases. Braeden ended up with a trophy that read "Best Fuel Economy" with this under that: (slowest car). Of course, that was probably deserved. It wasn't a fast car. But that trophy TORMENTED him for an entire year, lol. You know what? That must have worked. Guess what he did? He was so excited he couldn't stand it! There were only 2 scouts in his age group, but that didn't take away his joy (nor should it!). Not only did he win 1st in race, he also won a ribbon for Best Block of Wood, lol! The boys got to work on some St. Patty's Day themed spelling words this week. The site we use for spelling and vocabulary has some great holiday spelling lists laid out by each month. Since we love ALL things Irish around here, we enjoy that particular holiday! 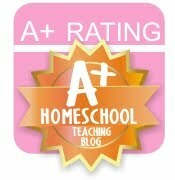 I have also been playing around on the homeschooling forums for our curriculum. We have made some changes from groups to forums and I'm excited for the changes. That's about it for this week. Soccer practices have started, so our evenings are pretty much spoken for until sometime in May, lol. I would like to leave everyone with a request. My heart is breaking for the people in Japan. And for those in Hawaii...everywhere that has been affected by the earthquake and tsunami. I'm asking for everyone to say a prayer for those people. Don't care what God you pray to. Just ask for faith, courage and healing for everyone. If you feel like making a donation, you can do so several ways. You can visit the IFRC. You can visit the American Red Cross. Or you can do what I did - text the word REDCROSS to the number 90999 and make a $10 donation that will show up on your cell phone bill. Thanks everyone! Hope you guys have a great week! I love to hear about other homeschoolers and how they do things like set up their schedules, what programs they use, etc. I don't know why. We are happy with what we are using and how we are using it, so I don't know that me reading about other homeschooling families would really change a lot with us. But still... I find it interesting. It's not just about me being comfortable, or about behaviors. It's also about information. I have no idea how to homeschool a 7th grader. Why? Because my oldest is currently a 6th grader. I learn as I go. He's going to be doing more involved writing and language arts, starting to do algebra online; things that I have to learn (well technically re-learn since I was a 7th grader once, in a galaxy far, far away) as he learns. The fact that I can ask questions and share experiences with a group of people who may be going through, or have already gone through, the same struggles is such a blessing! "We don't need no stinkin' tests"
Ok. Maybe that's not entirely true. But a girl can dream, can't she? I don't spend a lot of time thinking about testing. Not your average school-type tests, not your standardized tests and not your SAT tests. Why? I loathe testing. It puts too much pressure on kids. Why should they learn to test? They should learn to learn. Am I saying that I don't test? Nope. Laws require me to do so. Stupid laws. Am I saying that they won't have to take something like the SAT in their future? Nope...unless they don't want to. I'm just saying that I don't let the thought or the fear of testing consume my boys, or myself. When the time comes and we are forced (yes forced! lol) to test, we do. I'm a worrying type by nature, so generally everything worries me on some level. But in this one area, I'm good. It helps to know that I can find resources to help me when it comes time for the boys to take a major test. 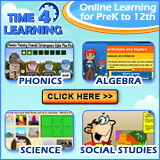 Our curriculum has an excellent help section on test prep. This helps to me to see what we can expect and how I might be able to help them prepare. Bailey's got another test coming up at the end of this school year. I may take some time to help him get ready, but honestly... I probably won't. The writing courses that Bailey is going to start taking this month will help him with testing in the future as well. Even though his desire for taking these courses is to help him with his creative writing, they are helping him to be able to write in general. Over time and through the courses, he will learn about compound sentences, sentence fragments, run-on sentences and more. As he gets into high school, he will learn about essay writing and will even be able to take some SAT writing courses.